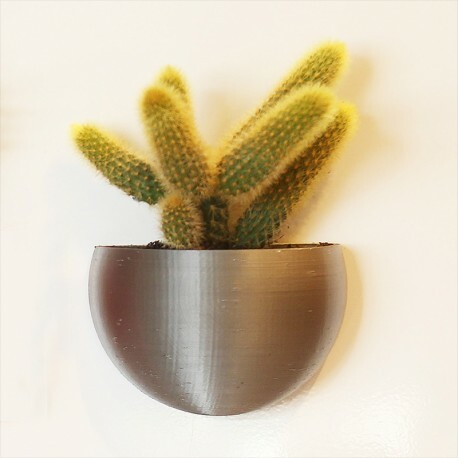 An attractive flat backed spherical planter fitted with 2 strong magnets to hold it to your fridge or other metallic surface. A great home for small cacti or other succulents or just use as a small container for your bits & bobs. The plant is not included. Size: the width is 90mm and it's approx 55mm high. Made in PLA plastic and available in a choice of colours to suit your decor. Colour - Please note that the colour of the item in the photo above does not indicate the colour you are buying. Please click on the colour box above the Add to Cart button to select your required colour. (Note the last 2 colours shown are silver & gold). Your chosen colour will be confirmed at checkout.